I just published a new Kindle e-book and it occurred to me that it might be helpful to show on my blog how I formatted it. 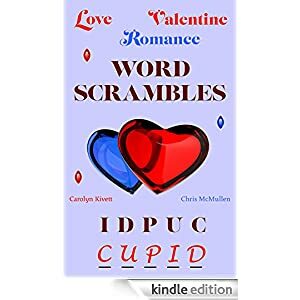 It’s a fun little book (by fun, I mean it involves puzzles—word scrambles, but not the usual variety: these have a Romance theme). But even if you don’t like the book, you can still check out the free sample to explore the features and how they were made. After all, this article isn’t about word scrambles; it’s about formatting Kindle e-books. 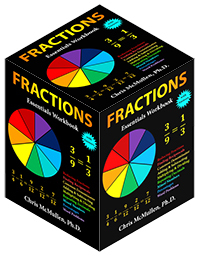 Formatting a puzzle book or a workbook for Kindle poses several formatting challenges. We’ll explore some of these in this article. If you’re self-publishing a novel or nonfiction book, even though it’s somewhat different from a word scramble book, it involves many of the same formatting features. So this article and the book itself serving as an example can help you see firsthand how to implement those features on Kindle. It’s 2015 and publishing is dynamic. What worked well for Kindle in 2009 or 2012, for example, may not be quite the same in 2015. Some things have stayed the same, but much has changed. Plus, the more books you design for Kindle, the more your eye for the design of digital books changes. I’ll begin with some basic Word formatting for Kindle. If you already know how to format a Word document for Kindle, you can skip the first sections below (though you never know when you may learn something you didn’t know before). Then I’ll introduce a book to serve as an example of my Kindle formatting, and I’ll discuss a few design issues. I’ll also describe a few improvements that can be made rather quickly beyond Word to Kindle formatting, showing my recent book as an example. You’ll find specific directions for how to quickly implement some formatting tricks toward the end. two consecutive spaces. I put two spaces in the Find field and one space in the Replace field. I continued to hit Replace until there were no matches found. blank lines. I typed ^p in the Find field and deleted everything from the Replace field. There isn’t a single blank line in the book, yet there is space between some lines which creates the same effect. More on this later. You may also want to put ^l (lowercase L) in the Find field in case you have another kind of line break. page breaks. Put ^m in the Find field to remove ordinary page breaks. (If you have section breaks that are also page breaks, you want to remove those, too.) My book does have page breaks, but I make them a different way in the Kindle edition. I don’t have headers, page numbers, or other print-only formatting features in my original Word file for Kindle. You also have to be careful not to use any unsupported symbols. What about the formatting? Don’t worry; we’ll get to that. Word may reduce the size of your image when you insert it. Word wants your picture to fit in the margins shown on the screen, so if necessary, it will reduce the width. Right-click on the image, choose Size and Position, find the Size tab, and enter 100 for the width (and height). This may cause your image to appear larger than the page in Word, but don’t worry about that, as that isn’t how it will look on a Kindle. Setting the width to 100% in Word does NOT make the image appear full-screen on Kindle devices. Right-click the image and change Wrap Text to In Line With Text. Place the image on its own line. Use Insert > Picture to insert your images; don’t use copy/paste from outside of Word. Crop, size, and format the picture with image-specific software before inserting into Word. If you do these things within Word, note that these features won’t be saved and propagated through to Kindle with Word’s default settings. If you upload a Word file, sometimes a drop shadow appears along the edge of one or more images. If so, the simple solution is to upload a compressed zipped folder instead (described later in this article). If you opt to do this, it also gives you the flexibility to make your images display better. The key to predictable and consistent formatting from Word is religious use of the paragraph styles. 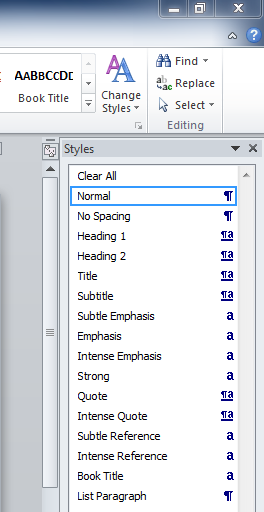 In Word 2010 (and 2007 and 2013) for Windows, these appear on the top right half of the Home ribbon at the top of the screen. It’s a mistake to highlight a paragraph and apply formatting directly to what’s highlighted. If you’ve already done that, you can find a Clear Formatting button on the Home tab. The way to format a paragraph is to create a style, format the style just the way you want, and simply associate that style with the desired paragraph(s). Place your cursor within the paragraph and simply click the style button to apply that paragraph style to the paragraph. You can highlight a word, phrase, or sentence that’s part of a paragraph and apply formatting, like italics or boldface, to that. But don’t do this for an entire paragraph. To format an entire paragraph (or a chapter heading, like Chapter 1, which is a paragraph), instead format a style and apply the style to the paragraph. The Normal style is the default for body text. Once you’re typing body text with the Normal style, simply pressing the Enter key will let you type another paragraph with that same Normal style. Right-click a style to modify it. Click the funny-looking little arrow-like icon in the bottom-right corner of the group of styles on the Home ribbon. This opens up a window of styles at the right side of the screen. Find the three buttons at the bottom of this new window. The left button lets you create a new style. When you create the new style, give the style a name that will help you remember which style is which. Choose which current style the new style will be based on. The Normal style is designed for the majority of your body text paragraphs, though you’ll want to modify the settings of this style before using it. You may need one or more variations of the Normal style, for example a similar style for the first paragraph of each chapter (e.g. if you don’t want to indent the first paragraph of each chapter, as is common among most traditionally published books). Use Heading 1, Heading 2, Heading 3, etc. styles to format headings that you’d like to be used in navigation. Kindle tends to automatically use your heading styles for built-in navigation (though it may take some time after publishing before this is done). You may want to use the Heading styles for chapter headings (like Chapter 1, Chapter 2, etc.) and some front or back matter sections (e.g. Introduction, Appendix), for example. Think about other kinds of paragraphs that you may want to be formatted differently. For example, you might want a block of text for quotes that is indented from both the left or the right. Or you might want a centered line for figures or for text that you don’t want to be used in navigation. Modify the Normal, Heading 1, and Heading 2 styles, and then create new styles—as described in the previous section. Once you have all the styles for the variety of paragraphs that are used in your book (including “paragraphs” that only consist of a few words or an image on one line, or lines from your table of contents, for example), then you just need to apply the appropriate style to each paragraph. Except for the Normal style, you can check a box so that any changes you make to that style automatically apply to every paragraph of that style when you modify the style. Otherwise, and for the Normal style, if you want to update every paragraph of that style, open the style box on the right of the screen (see the instructions in the previous section), place your cursor on a paragraph of the style you want to modify and update, right-click the style in the box at the right (not the top), choose Select All, click Modify, and then update the style and the changes should propagate throughout. For each style (Normal, Heading 1, Heading 2, and variations of these that you use), you need to modify the style to adjust the font and paragraph settings. Leave the color set to automatic, except where you need to create text a different color. For example, if you want a heading to appear in red or blue, you can change the color for that heading style. Don’t set the color to black for body text; leave it set to automatic. (Note that colored text may not appear as nice on black and white devices; for example, red stands out in color, but appears gray on black and white devices). The default Word font style (Times New Roman or Calibri) is simplest. This will allow the user to choose a font to his or her liking. There is a better way to treat the fonts, as I’ll describe later. Font size is something that you must set in Word if you intend to upload a Word doc, but which the user will ultimately take control over. So font size is relative. The points don’t translate perfectly from Word to Kindle. Kindle doesn’t discriminate between some close font sizes. If you use 12 pts for body text and want a heading to appear twice as large, you might try 24 pts, for example. Some trial and error is wise. If the font for a heading is too large, for example, a long word (like INTRODUCTION) might not fit on a single line on some devices (though when a user chooses a very large font on a cell phone, that’s virtually unavoidable), so it pays to test it out. There is a better way to set font size than by doing so within Word, as I’ll explain later. To adjust the font in Word, don’t highlight an entire paragraph and change the font for that paragraph. Instead, right-click a style to modify it, click Format, choose Font, and modify the font for that style. Then simply associate that style with the desired paragraph(s). You must similarly adjust the paragraph settings. Right-click a style, click Modify, choose Format, and select Paragraph. Instead of inserting manual page-breaks, you can include this in a style, too. You also find this in Modify > Format > Paragraph for a style, then choose the Line and Page Breaks tab, and check the box for Page Break Before (but note that most of the other options on that tab don’t propagate through to the Kindle; page-break works, though). The paragraph setting is also what you need to use, within the style itself, to treat indents in a way that will work predictably and reliably. Don’t use the tab key at all. Don’t use the spacebar to create indents. Don’t rely on automatic indentation. Don’t go to the paragraph dialog box and set First Line for a particular paragraph. Close, but no cigar. You need to do this for a style instead to achieve the most reliable and predictable indents across all devices and the challenging, yet all-important, Look Inside. Right-click a style to modify it, click Format, Select Paragraph, change Special to First Line, and enter a value for the indent there. Do this for all non-centered styles, including justified and left-aligned (ragged right) styles. Do this for Normal and variations of Normal that will be justified or left-aligned. Don’t choose (None) for paragraphs that you want non-indented (like the first paragraph of a chapter, if you have a special style just for those paragraphs, or the lines of your table of contents page). This won’t work. Instead, set First Line to 0.01″ to create non-indented paragraphs. There are two different ways to format a table of contents in Word for Kindle. There is a table of contents tool, or you can create bookmark hyperlinks. There is yet a third way to do it if you wind up exporting Word’s HTML to create an epub or mobi file. On top of this, Kindle may build in navigation (after a lengthy delay once your book is published) based on h1, h2, etc. tags (Heading 1, Heading 2 in Word). You can also create other bookmarks for built-in navigation. For example, if you type “See Section 4,” you can use bookmark hyperlinks so that when the reader clicks Section 4, it takes the reader directly to that section. If you have external hyperlinks, e.g. the url to a website, you can similarly activate these. Footnotes and endnotes in Word also propagate to Kindle. Below is a picture of how a portion of my sample e-book appears in Microsoft Word. If you look above Contents, you can see “pic 2” on a line by itself. Later, I turned that line into a picture. Remember, it’s not how the book appears in Word that matters, it’s how it appears in Kindle that counts. Later in this article, I’ll describe a few ways to improve the formatting from how it appears in Word. There are four decorative images in the front matter. The paperback edition includes some visual elements, so the hope was to incorporate a taste of that visual impression into the Kindle edition. However, square images (like a heart), full-page images, or tall images take a great deal of room on a screen, which can impact the readability. For one, it serves as a long gap between the text that comes before and after the image. Also, you have limited control over where the paragraphs of text preceding and following the picture will appear. You can wind up with a lot of white space on the screen prior to the image, or you can have one line of text above or below the image, etc. When an image is a crucial part of the book, you do your best to work with it. But for decorative touches, I didn’t want to use an image that may cause such issues. Another design choice is which sections to include in the front matter. Some people move the copyright notice and table of contents to the back matter in order to maximize the potential of the Look Inside. A few cram extra stuff into the Look Inside, hoping to make it easier for customers to reach that 10% mark, so crucial for Kindle Unlimited. Neither of these reasons appealed to me. I included a short, basic copyright notice in the front. I feel that customers generally expect to see this; it’s a standard part of a book; I didn’t want its absence to stand out, and I believe its inclusion, if done well, can help signify that professional touch. Virtually nobody will read the copyright page, but everyone will notice it briefly while passing by (except when they first open the book in a Kindle, where Amazon starts the book after this position; but I’m more worried about the customer on Amazon’s website, checking out the Look Inside). I also opted to include the table of contents in the front. This book has 88 pages of puzzles. I didn’t want to include 88 entries in the table of contents. So I divided the table of contents up into Puzzles 1-8, 9-16, 17-24, etc. Both the copyright notice and table of contents in this book are centered. For a multi-level table of contents, I would format it left aligned (ragged right) instead, and use indents (through styles) for the various levels. I might use left alignment for most tables of contents, in general, but if you look at this puzzle book, very much of it is centered (including the puzzles), so this kind of fits. Sometimes, it pays to force a break to avoid a bad break. For example, the authors are listed as Carolyn Kivett & Chris McMullen. I spread this onto three lines (with the & on its own line). Why? Because on a smaller screen or with a larger font size selected by the user, we could wind up with Carolyn Kivett & Chris showing on one line and McMullen on the next line, which would look unnatural. Separated on three lines avoids that possibility. You can’t do such things with body text, but everywhere else you can keep such things in mind. But be careful. If you take something too long and break it in half, you might get bad breaks in between. For example, suppose you have two short sentences and decide to place each on its own line. This sounds good until you see the last word of the first sentence wind up on the second line all by its lonesome on a smaller screen or with a larger font. Remember, don’t try to force breaks in body text paragraphs. It will surely backfire on some devices. 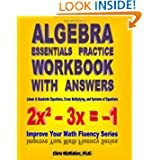 My example is a puzzle book. 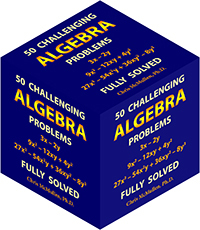 The puzzles themselves are centered, as is much of the front matter. I formatted the Introduction with block paragraphs, i.e. it has space between paragraphs, but no indents. This isn’t your standard nonfiction book, so these block paragraphs fit in with the design. Definitely, don’t use indents and block paragraphs, or your book will stand out, probably not in a positive way; readers just aren’t accustomed to that. Readers expect novels and most nonfiction to have indents, but no space between paragraphs. A few kinds of technical books, for example, tend to have block paragraphs (space between, but no indents). If you have a nonfiction book, see what’s common among very similar books. One of the challenges in designing a puzzle book or a workbook is that in print, answers are usually collected in the back. That’s just incredibly inconvenient in an e-book. Another challenge with puzzles and workbooks is that you can’t write in an e-book (well, maybe you could create an ‘app’ instead of a ‘book’). A crossword puzzle, word search, or Sudoku puzzle can’t be ‘read’ as a ‘book,’ for example. But you can do a word scramble in your head. My biggest struggle with this book was that each puzzle contains 6 word scrambles plus a theme (also scrambled). Since all 7 words go together, it really makes sense for all 7 words to lie on a single page. That’s the way it looks in print (the print edition also includes nice visual decoration). But it’s a big problem for Kindle. 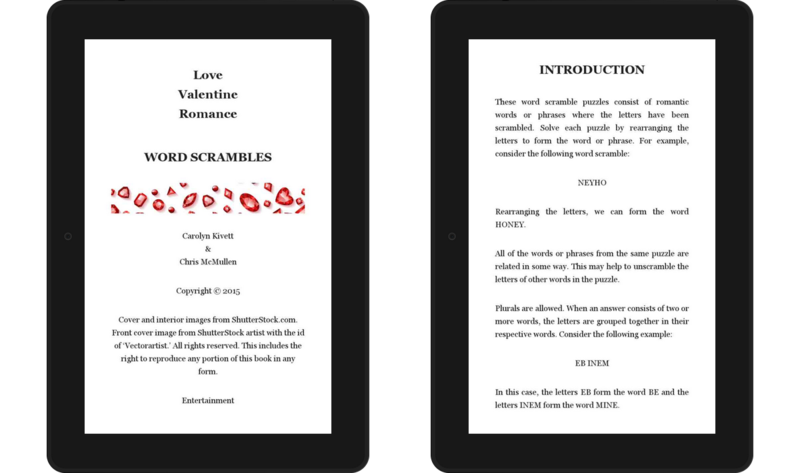 The only way to guarantee that all 7 word scrambles for each puzzle would appear on a single ‘screen’ in Kindle is to format the entire page as an image, but then it wouldn’t likely be readable on a great many devices. Unfortunately, one or more words for a puzzle will go onto the following screen on smaller devices, or any device with a large enough font size selected. I could have tightened the space between puzzles, but I preferred to add space between the lines of each puzzle (using Space Before, in the styles, not with the Enter key), as readability is important to help focus on one word scramble at a time. I made a draft without using page-breaks at all, and I rather liked how that looked and read, but in the final product, I included page-breaks. Since each puzzle has a theme, a page-break seemed the natural way to collect the themes together. I took a few quick and simple steps to improve the Kindle formatting. Below, I show you exactly what I did and how I did it. It will improve the formatting. In Word, Save As a filtered webpage (don’t choose single-file webpage), then open the file in Notepad. (An alternative is Sigil, which can help you create an epub, but there is a learning curve for using Sigil.) I’ll describe minimal changes to look for in Notepad. Don’t open the filtered webpage in Word. If your file has images, there is another step to take before you open the file in Notepad. Find the file on your computer (in My Documents, or wherever you saved the filtered webpage). Right-click on the file, click Send To > Compressed (zipped) folder. This creates two folders: one with images and one zipped folder. Find the image folder (you may have scroll to the top) and drag it into the zipped folder (both folders have the same name as the filtered webpage file). When you want to edit the file in Notepad, open the filtered webpage, and after saving the filtered webpage, find it and drag it into the zipped folder to replace the old file. When you open the filtered webpage in Notepad, you find the styles at the top. I delete the font definitions: Everything beginning with /* Font Definitions */ and just before /* Style Definitions */. I next improve the styles that you find under /* Style Definitions */. Be careful to type everything exactly (or use copy/paste, as typos here can create havoc). Don’t forget the semi-colon (;) at the end of each line. Exceptions: (1) When you want to include space before a paragraph, change margin-top from 0in to 2em, for example, where an ’em’ is a helpful unit in typography. (2) When you want to a create a block indent, e.g. for quotes, change margin-left and/or margin-right to 2em. This indents every line from the left (or right, or both), not just the first line. The word justify could also be left or center, depending on how you want that style to be aligned. Heading styles are often centered. Most body text is usually justified. Set text-indent to 0 for any paragraph that you don’t want to be indented. While zero doesn’t work in Word, it does work here. This way, your indent size will depend on the font size that the user selects. While a percentage seems like it would better match the screen size, it comes out way too big in the Look Inside, which is your main selling feature. Regular body text should be 100%. I used 150% for headings. You should only have the closing brace } if this is the last line of the style’s definition. There are other changes that I make, and other things I do to clean up my file; I’m taking a minimalist approach here to keep things simple. Don’t use 2048 and 342. Use whatever size the image is (most likely, if you have multiple images, they will differ in size; find the sizes of your images). It may seem redundant to also include the width and height size if also setting the width to 100%, but this may speed things up on some devices. Word can resize your images on you, so you should check the point values in the HTML and also in your compressed image folder. If it was resized, you can delete an image from the compressed image folder within the compressed zipped folder and copy/paste it back in (based on your original). You’ll probably have a p class instead of a div class. I use the Replace tool in Notepad to change every <p into <div and every </p into </div throughout the file. There are more things you can change, but again I’m trying to keep the changes to a minimum for simplicity. If you want to see how clean your Word file is, try using the Find tool and looking for span, font, color, <br, clear all, and things like that. If you have a lot of spans (other than endnotes), it probably means you had a habit of highlighting text or paragraphs and applying formatting to what’s highlighted. The more you get in the habit of using styles for paragraph formatting, the more that will reduce those spans. Those breaks (br) and clear all’s can arise from manual page breaks, Enters, etc. ; these come out cleaner when you build the page-break into the header style and when you use Space Before in the paragraph style instead of using the Enter key (don’t add these features to every style; just figure our which kinds of paragraphs should have space before and add it to paragraphs of those styles). If you find the word font (other than in your style definitions), it probably means that you highlighted text or paragraphs and selected a font style, size, or color. Try to break that habit (except when you need a portion of a paragraph, rather than the entire paragraph, to format differently). It’s worth browsing through your p-tags. They begin <p class=, such as <p class=MsoNormal>, unless you changed all the p tags to div tags like I do, then you’ll have things like <div class=MsoNormal> or whatever you called the style. Your HTML will tend to produce more consistent and predictable results if you don’t have overrides in your paragraph tags. Examples of overrides in your paragraph tags include <p class=MsoNormal align=center> or <p class=MsoNormal style=’text-indent:.3in’>. These are contradictions. The Normal style says to justify, while your p tag says to align center. Unfortunately, when you have contradictions like this, the Look Inside doesn’t always choose the way you’d like. These contradictions come about when you don’t use the styles religiously. If you highlighted a paragraph and changed the alignment to center, you create a p tag like <p class=MsoNormal align=center>. What you should have done is create a centered style and simply associate that style with the paragraph to create a p tag like <p class=Center>. Similarly, don’t highlight a paragraph and change First Line for the highlighted text, as that creates a p tag like <p class=MsoNormal style=’text-indent:.3in’>. The better thing is to create a new style with the indent you need, then simply associate that style with the paragraph. If you see overrides in your paragraph tags, you want to change your habit of formatting highlighted paragraphs and use the styles instead. That will give you the most reliable formatting. I thought I knew what I was doing till I read this! I must admit, you lost me with all that p tag div stuff at the end lol! Still, I think I’ve learned a few things… thanks Chris! Yes, I could have taken a moment to describe those tags better. Sorry Chris, that was in no way meant as a criticism but a reflection on my lack of knowledge! Your posts are always extremely informative and I always learn from them. Wow, so much good info! Thank you so much for sharing this info. Will reblog and share on some other sites. This is one of the most helpful posts I’ve read. It doesn’t just tell you how to format for Kindle; it shows examples of different layouts depending on the type of word processor you’re using. We owe Chris a huge thank-you. I am about to start formatting a medical text book (for print) with Adobe InDesign. This is my first attempt and am new to InDesign as well…any pointers or good resources?? Thanks. The text book will be a print version this time and hopefully e-pub next edition. I know I can export in e-pub format and it doesn’t look too bad. I just want to make sure I am not making more work for myself. I’d rather this version be made with the e-pub version in mind so there will be less major edits in format. Thanks for your advice. Thanks Aleta! I look forward to trying out your advice. This article could be a great instruction book of its own that would help a lot of writers. Thank you for sharing. Thanks for writing it. There is a lot of information, like on paragraphs, that I would not have known. It is a great mini-book! I just noticed that you reblogged it, Aleta, but it is great advice, and I’m glad you shared it. Thanks to Chris McMullan for the great article. It is very useful. Formatting through me for a loop when I was trying to add my books to Smashwords. Here’s a little info to help others. Reblogged this on Shirley McLain. Great blog and I will be reading it again to try and fully understand all the information you provided. I thought Amazon formatted the books for you when you post them? Unfortunately, Amazon doesn’t do anything to the formatting. They do let you preview your book so you can see how the formatting looks before you publish (and change it if you’re not happy with it). For many kinds of books, especially those with mostly text like a novel, the formatting is relatively straightforward. I worked fine in online previewer for Ipad. However this doesn’t seem to work when I published on KDP. I have looked at the ipad and nothing is centered including headers. Any chance you have a solution for this? Have you checked it on other devices? That is, do you know if iPad seems to be the only problem? I’ve just checked it on an android phone and it looks fine, it follows all the html. But the ipad seems to be ignoring all the html code. It doesn’t even indent the paragraphs. Is there a code that I could put within text – that could make certain parts centered? thanks so much for your help. The iPad and iPhone can sometimes be problematic. If the Look Inside is correct, that’s usually the trickiest. Can you show a sample line calling your body text? You have text-indent set in the style for body text? You have to sometimes force KDP to make text align center. i mean use following syntax to make it happen. I then use text for the normal text. This looks like it should work, as long as the body HTML that calls these styles doesn’t override or contradict it. However, iPad can be a little quirky. I can’t check at the moment, but made a note to check my notes late tonight or early tomorrow. There are a few older threads on this at the KDP community forum (or, if you haven’t already done so, you could start a new one). Thanks so much. I will go and start a thread on KDP. You are so good at replying promptly. Thanks again. Have you gotten further with this? Chris, This is a great article with lots of details. Would you know why a word doc that is around 36,000 words and with 92 pages but displays in the kindle estimate as 104 pages? It seems it should be much longer! The person who formatted it for me said that when she checked the epub there weren’t margins. She had given me a mobi to upload and it looks fine but I just think it should be longer to fit in properly with other books in the genre. Should the margins be set and is that why it appears much shorter? Many people have books that are around 25,000 words that are close to 100 pages but mine is 10,000 words more and shows as only 104! Thanks for any ideas. The book does look good as it is, but I want people to know it’s not short! Kindle’s estimated page count is a little funny. I wouldn’t play with the margins. If you publish a paperback edition through CreateSpace and get it linked to your Kindle edition, it use your actual page count for your paperback. That lets you control the page count. Question: When you suggest setting the text-indent to 2em, where exactly do we put that in the… code(?)? There are different MsoNormal sections in the Styles Definitions. Do I put them in all of them? I found that I could go into the text and put 2em into each paragraph… but it is a lot. I’m trying this out on a short story, but I’ve got a novel to format next and I’d rather have a shortcut to this, if possible. Thank you for the information, by the way. It has seriously been helpful. It’s better to do this through the style definitions than through individual paragraphs (and you want to double-check that the paragraphs don’t contradict the style definitions, otherwise that creates problems in the Look Inside, for example). Do this for any style definitions for paragraph styles that you wish to be indented. Don’t do it for centered styles (like headings), and don’t do it for any other styles that you want to be non-indented. Great article! Looking for some additional formatting detail with recommendations for how to handle things like bulleted and numbered lists. 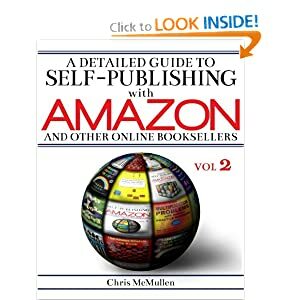 Do you include that information in your Detailed Guide to Publishing on Amazon? That guide covers basic Kindle formatting. I have a Kindle Formatting Magic book coming in March (hopefully) that will cover Kindle formatting in much detail. Bullets function best across all devices when kept simple. A basic paragraph style with no more than one indent level is more likely to be predictable across all devices (HTML can make two levels work on most devices). Use the supported character for the bullet symbol and insert it (or a number) manually at the beginning of the line. Left aligned bullets prevent justification issues (with the first word), but it’s trickier to get left aligned paragraphs. Good luck with your book. Thanks Chris! 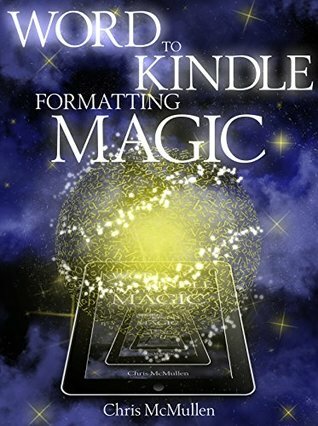 Looking forward to buying your Formatting Magic book in March. Really challenging to find good information on e-book formatting that is beyond the basics. I’m a writer and am holding a seminar on e-books. I had my own formatted by someone else but want to give people as much information as possible. Can I use any of the information in this blog and if so, what type of credit would you like in my PPT? This is incredibly helpful – thank you! I am not sure, though, how to apply different styles without having paragraph (line) breaks (^p). Without the ^p, everything gets assigned the same style… If you have a moment, please let me know how you deal with this? Thanks again. You do need separated paragraphs between paragraph styles, such by using the paragraph mark. You have to highlight to make a fragment of a paragraph have a different style (e.g. italics) from the rest of the paragraph (but should not highlight an entire paragraph, or more, and proceed to format that). I am curious though as to one point (which I have researched online to no avail up to now). I have added images in the ebook I wish to publish, by doing Insert –> Picture (I’m using Word). I had cropped the Pictures using another software (paint.net). I use calibre to transform my ebook draft into mobi format, and then upload it to my device (Kindle Voyager) for preview. I forgot to specify that the crop was alright. And the images are all in JPEG. How to zoom on a Kindle device or app varies. Have you tried placing your thumb and forefinger together on the image and spreading them apart? This pinch-and-zoom method works for some images in some books. If not, try pressing your finger against the picture and holding it until a magnifying glass icon appears. This should open various options, including a means to zoom in on the image. Good luck.